Contrary to everything relatable about Beyoncé's political stance and everything she stands for as a woman, one thing about her is not so relatable to me. I did NOT wake up like this. It is obviously the styling! You're right. I know. 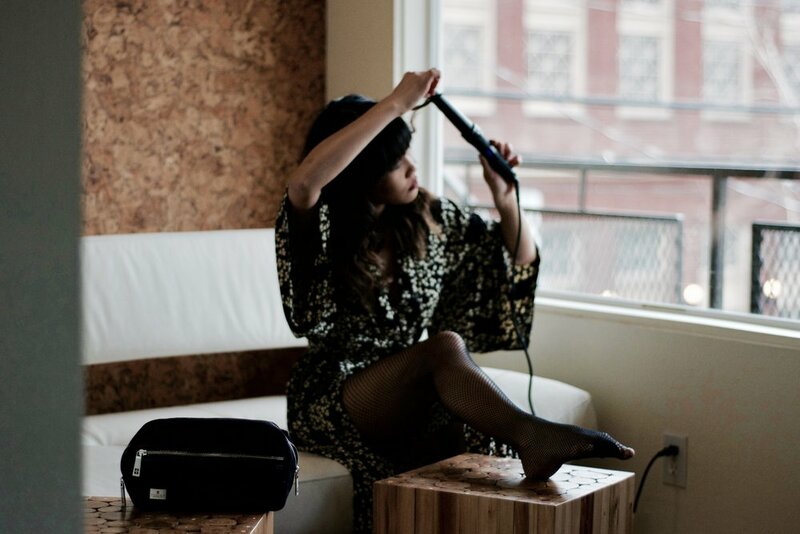 I discovered Theorie's Quantum Switch Curling Wand a year or two ago and I never looked back. After watching a ton of Youtube How-To tutorials on hair, I figured out a curling technique that works for me. You take the barrel wand of your choice. (This determines how small or big your curls will be.) Section your hair in a half ponytail and secure it with a hair tie. It's imprtant to start the curls at the bottom. Take a piece of hair and wrap it around the wand away from your face and repeat this step until you're done with your whole head. I've heard it's also nice to alternate directions in which the curl goes, one away from your face then the next toward your face. It's honestly all about preference and what works for you. I prefer going in one direction. I'm still impatient when it comes to my hair but having the knowledge and the tools to style it once in a while is pretty great. Viola! That's what I call The Theorie Effect.